!! 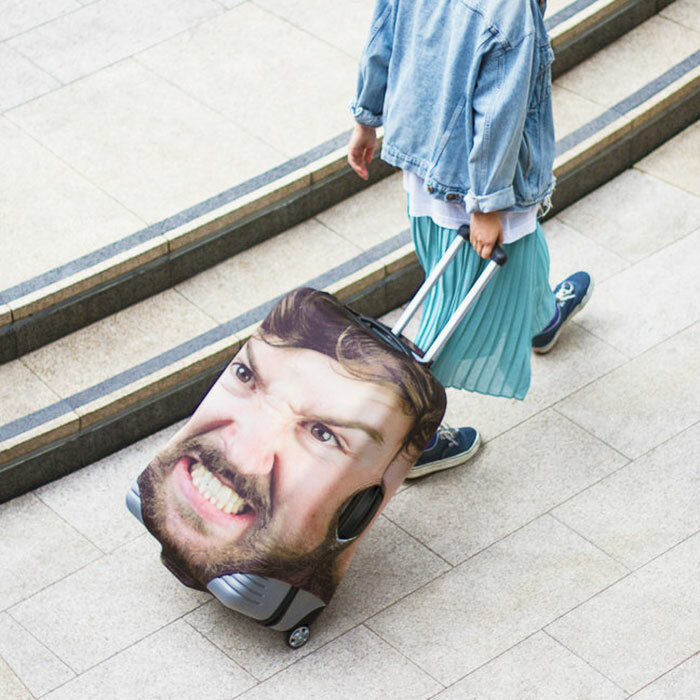 OMG, find your luggage at the airport easier with HEAD CASE’s personalized, giant, suitcase covers of yo’ damn FACE !! 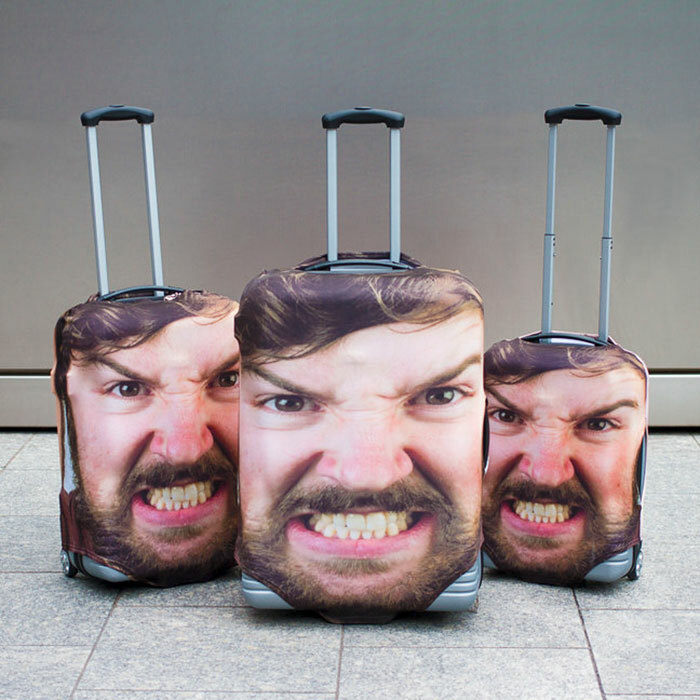 In the age of vanity and self-obsession, I’m sure these will serve many-a-purpose! 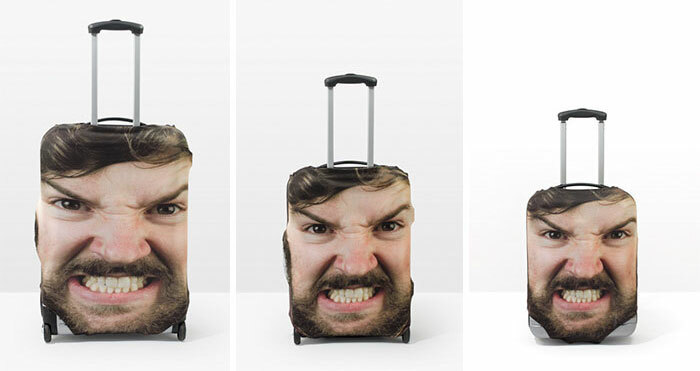 Enter Head Case, an instantly recognizable personalized suitcase cover. Allow me to explain: all travelers have to do is upload a high-quality picture of their face, the face of their significant other, their mom, or maybe even a celebrity. Firebox will print it on a double polyester spandex cover, and ship it to the buyer. Available in three sizes (small, medium, and large), they cost $26-$39 – Find more images after the jump! 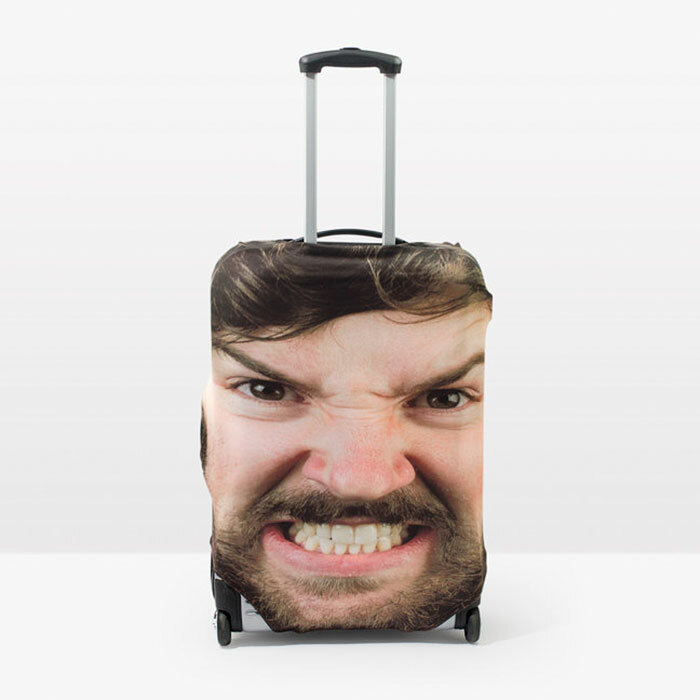 1 Comment on "OMG, find your luggage at the airport easier with HEAD CASE’s personalized, giant, suitcase covers of yo’ damn FACE"
I would put Pennywise The Clown on my luggage, and wait for the children’s reaction as it circles baggage claim.